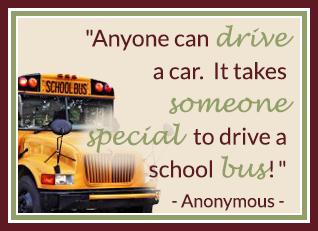 Beaver Creek School District is happy to provide bus transportation for our students within our district boundaries. Our trained, safety-conscious bus drivers pledge to get your students to and from school safely. We require parents and students to sign a transportation agreement, which you can pick up from our school office. We would also like to remind students that riding the bus is a privilege, not a right, and that we expect them to follow our bus safety rules. Students who disobey bus rules may lose this privilege, which would also mean he/she would not have access to transportation for extracurricular activities. To be sure that students are transported safely, we expect certain behavior of all BCS students. Any behavior that interferes with a driver's ability to operate his/her bus safely or that jeopardizes the safety or property of one's self or peers is inappropriate. We expect all students to follow these bus rules. For additional transportation policies, please refer to our student handbook. Stay off roadways until buses come to a complete stop. Be seated and remain seated while the bus is moving. Do not throw objects of any kind on the bus. Do not use profane, indecent, or lewd language. Ride on your assigned bus. Find out your child’s bus stop and pick-up/drop-off time.